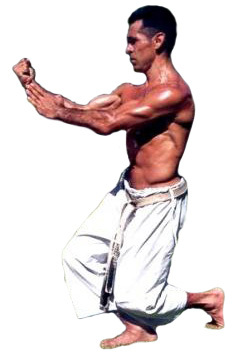 Bassai Dai is the best known shotokan kata and one most practiced. Why? because it has qualities of budo... composure, power, strength, speed and evasion but most of all it embodies dynamic nature of shotokan system. I find bassai quite easy to copy but very hard to 'do'. It feels like no other kata, full of destructive potential and also grace. There is more 'fight' feeling in bassai than any other performance. But why it is not so popular at competition? Because it is not showy, without jumps, leaps, high kicks but give me bassai dai every time. It is REAL kata of shotokan with 42 moves perfect length. Bassai is indeed THE shotokan kata!! This is the most powerful kata in karate, it has grace and power, it teaches you to attack and retreat. A person doing this kata in it's form can stay fit. ...shame about the stance and the loose Obi. I agree, Bassai Dai is THE kata of the Shotokan way.